You’re a very important person. We know that, and we want to celebrate you. There are many benefits of dermatology treatments, but one of our favorites is how pampered, relaxed, and confident you feel afterward. We value each patient that we have, and we want to honor all of you for your commitment to yourself and your continued patronage to our office. At Aesthetic & Dermatology Center, we have a VIP membership that affords you the opportunity to benefit from discounts on products and services for a low annual fee. Once you join our VIP membership, you receive an instant 10% savings on products and procedures. Most patients surpass the annual fee in savings after their first procedure! Treat yourself like the very important person that you are, and join our VIP membership today! In addition to a 10% savings that you can use anytime and as often as you like, you will also receive one complimentary treatment during your birthday month of up to $150! If you’re ready to celebrate a year of you, ask us about our VIP membership! Signing up for our VIP membership is as easy as calling our office and asking for Denise. Your benefits and discount will automatically apply each time you visit our office. We appreciate your loyalty to our practice, and we want to celebrate you with year-round savings. 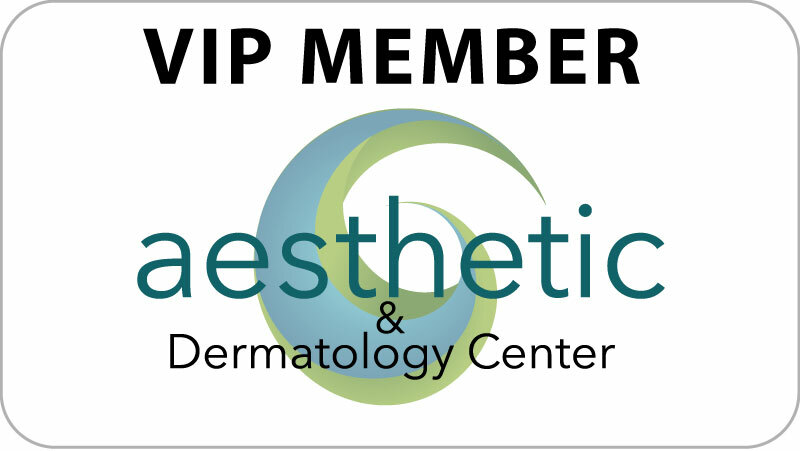 Call our office at (301) 610-0663 or ask Denise during your next appointment about joining our VIP membership. Purchase Your VIP Membership, NOW!